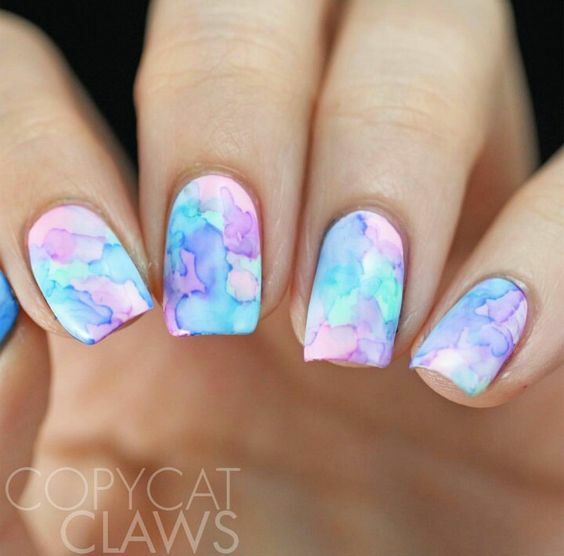 Watercolour is trending again! 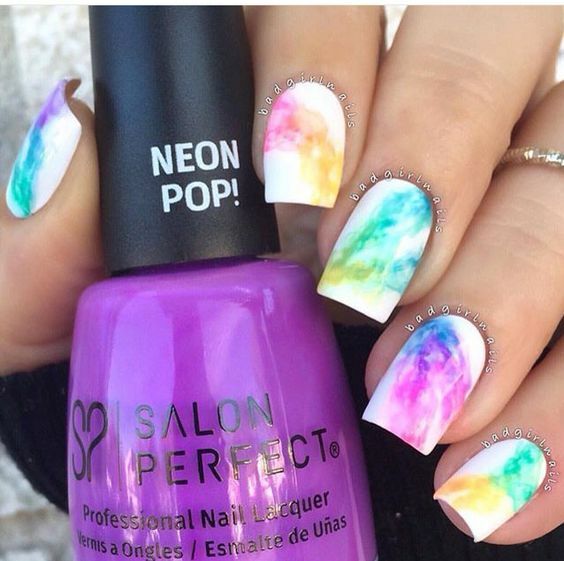 This time, girls prefer to mix the colours up on their nails and parade it for as long as it stays. Surely, a conversation starter at lunch. 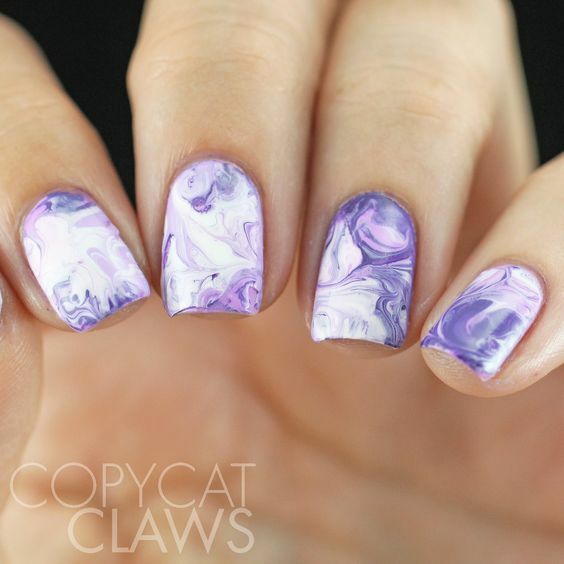 Simply follow this 3 steps and you can create your own watercolour nails. 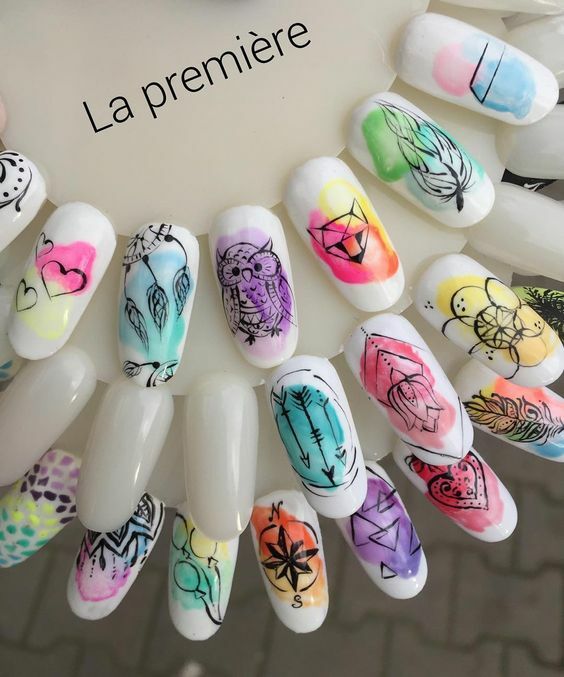 Step 1: After applying the base coat and your choice of nail polish, drop big bulbs of nail polish colours and prepare for the mix. Step 2: Using a thin plastic film, gently press it over and mix it up. 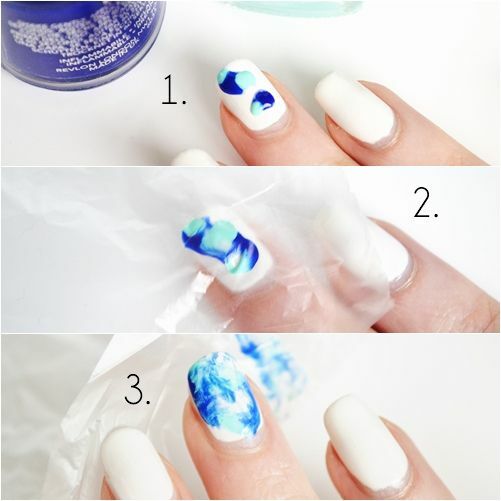 Step 3: Repeat the steps and apply top coat over, you are done! 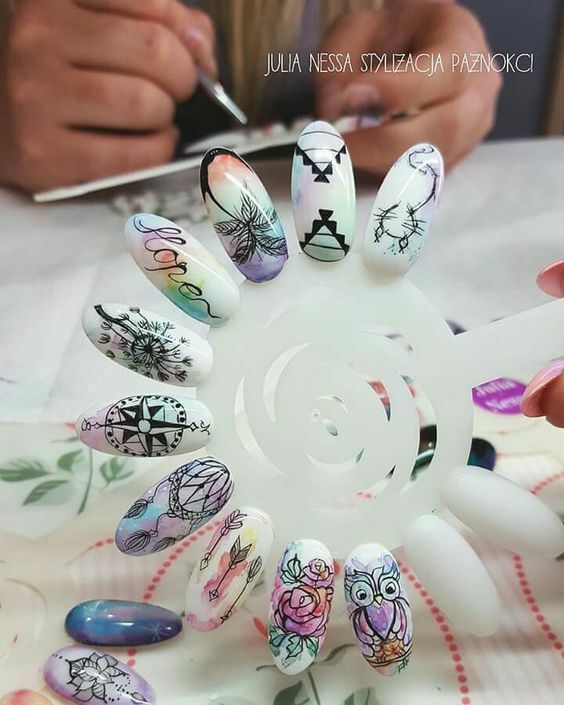 Plus, include your own personality by creating designs with a thin strip brush.